Gateway to Andalucia Estate Agency/Inmobilaria…. 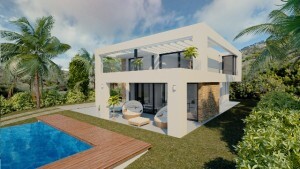 Offering the best selection of Inland Properties For Sale in the Malaga and Andalucia areas of southern Spain. We specialise in Andalucia properties and have contacts in all parts of the Andalucia area, so we are able to find the right properties for our clients. Established and run by experienced Spanish Real Estate Professionals – Gateway to Andalucia, Malaga, provides a complete Spanish Property Service Package. From Spanish Mortgage Applications to Financial and Legal Advice, from Building Work to Design and Property Restoration and for a total Relocation Service and advice we are here to help you with our friendly and welcoming approach. Gateway to Andalucia is located in the picturesque village of Casabermeja, just 20 minutes from Malaga airport and less than 1 hour from the new International Airport at Granada. Our offices are conveniently located adjacent to the main Malaga/Granada motorway A45 at the Casabermeja services exit. Gateway to Andalucia specializes in the Sale of Andalucian Rural property and Andalucia Country Properties in the Malaga Area, Spanish Properties in Antequera and in Granada and Properties For Sale in the charming villages of Colmenar, Casabermeja, Rio Gordo, Villanueva de la Concepcion, Almogia, Villanueva del Trabuco, Villanueva del Rosario, Valle de Abdalajis, Iznajar, Alora, Loja, Periana, Alcaucin, Puente Don Manuel, Los Romanes and many more towns and villages of Andalucia, Spain. At Gateway to Andalucia we have Spanish properties For Sale in our comprehensive portfolio which includes Villas For Sale, Rural and Country Houses, Fincas, Cortijos, Farms, Town and Village Houses For Sale, Apartments, Properties For Renovation or Reform, Ruins, Land For Sale, Off Plan Developments, Commercial Properties including B & B´s, Hotels and Investment Properties. We also have properties for sale in the Axarquia area and Marbella and other towns and villages along the Spanish Costa del Sol. Our After Sales Service is second to none with free help and advice on every aspect of Property Purchase and Relocation – including Schooling, Local Registration and Documentation, Health Care Services, Banking, Building and Reparation Advice etc. etc. For The Vendor we offer a free Valuation Service and advice on every aspect of selling property. 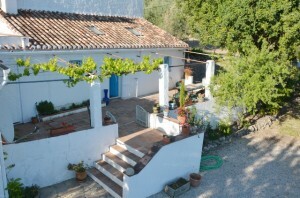 Gateway to Andalucia also offers a fantastic sales service for anyone selling their property in Andalucia. We are pro-active and have an advertising department that makes sure that your property is pushed forward. We pride ourselves in bringing buyers and sellers together. gateway to Andalucia uses several marketing methods to help the vendor, real estate videos, adverts with photographs of the property for sale, link partners and our own Andalucia property Blog. Your property has the best chance of being seen with us. For Property For Sale In Andalucia contact us and we´ll help you through the entire process, find exactly the right house for you and help you for as long as you require after your purchase. The only Gateway To Andalucia that you should consider buying through.